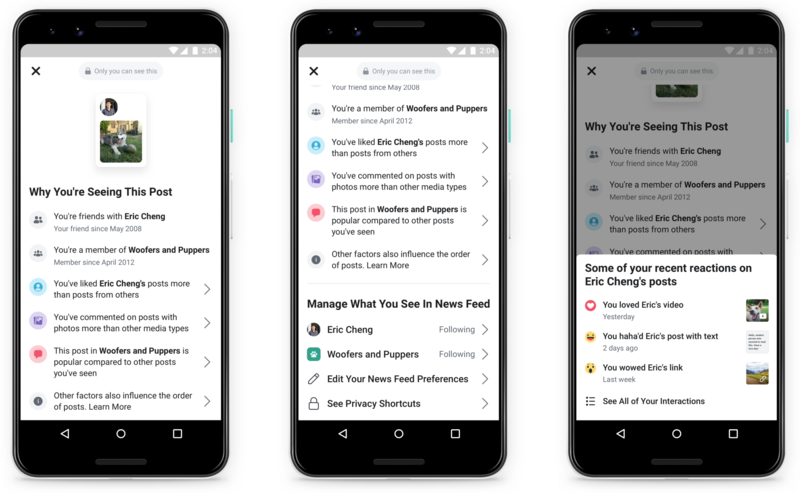 As part of its efforts for more transparency, Facebook is now giving users more detailed information as to why they are shown a post in their feed. This feature has already been in place with advertisements in the news feed to some extent and is now getting extended to regular posts. Click on the drop-down menu at the top right of a post. where you can change your preferences. Even the drop-down on an ad will reveal more information than before. In addition to reasons such as demographics and interests, you’ll learn whether advertisers are reaching you with their ads based on a list of customers, that means, that they have entered email addresses or phone numbers into the Facebook Ads Manager, and whether an agency is behind it. This innovation gives the user a bit more control over their news feed. At least in theory. It remains to be seen who actually finds and uses the function.